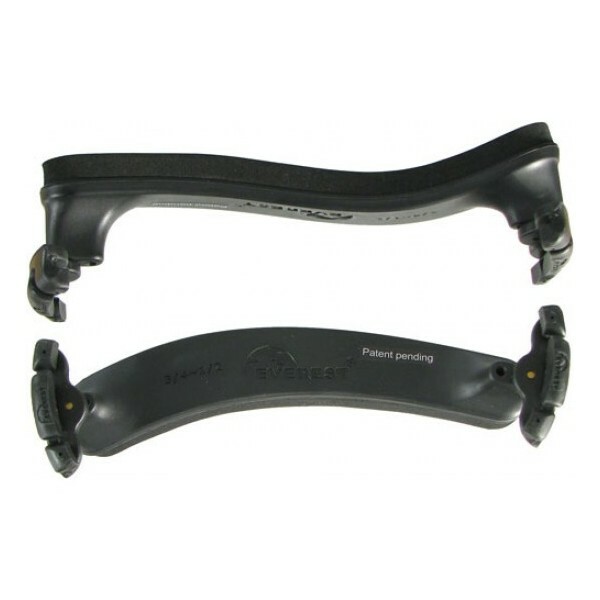 EVEREST shoulder rests are designed in the USA and manufactured with the finest material and workmanship. They were designed by a John's Hopkins' biomedical engineer to overcome the many shortcomings of existing traditional shoulder rests. Adjustable to fit all 15" ~ 16.5" violas. Specially Engineered Fixed Tilt – The unique computer-modeled design of the EVEREST shoulder rest raises the violin to an ergonomically correct and comfortable playing angle. Teachers, students, and professionals alike have all praised this innovative and distinctive design: teachers love the way it trains correct playing angles, while students and professionals love the comfort, durability, and style.